This is an infuriatingly slow detective story. Set in a quiet English village, it feels like a gentler take on TV’s Midsomer Murders. When a prospective headteacher for the village school is murdered, the suspects are the school’s governors and staff members. The investigation is led by Inspector Robin Bright – and the good inspector quickly takes a fancy to Adam, a teacher governor. Both Robin and Adam are likeable characters – but honestly, Adam’s dog is a more interesting character than either of them. This is a very low heat story full of courtship and chivalry that is mildly charming and completely unbelievable. The whole story feels quite dated. Odd references to Margaret Thatcher and the Dunblane shooting had me surprised that this story was written in 2014. At one point, Adam is described as a young teacher. Shortly after, he talks about how Dunblane changed his teaching practise (it happened in 1996). Robin repeatedly compares a female character to Margaret Thatcher which is not a reference anyone younger than sixty would make or fully understand. Both Robin and Adam speak like characters in a BBC period drama and the whole thing is strangely formal. The actual murder mystery wanders in circles for a very long time. I was able to guess the whodunnit far too early and I grew frustrated when the characters took far too long to come to the same conclusion. Because Charlie Cochrane couldn't be trusted to do any of her jobs of choice—like managing a rugby team—she writes. Her mystery novels include the Edwardian era Cambridge Fellows series, and the contemporary Lindenshaw Mysteries. 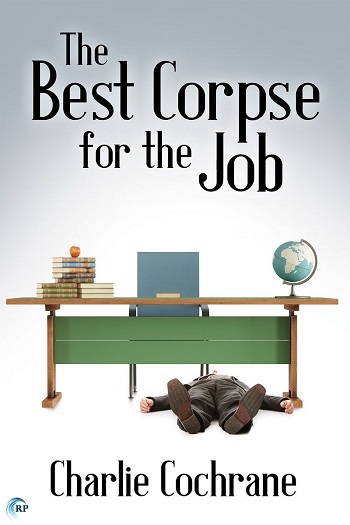 Reviewers on the Wicked Reads Review Team were provided a free copy of The Best Corpse for the Job (Lindenshaw Mysteries #1) by Charlie Cochrane to read and review.